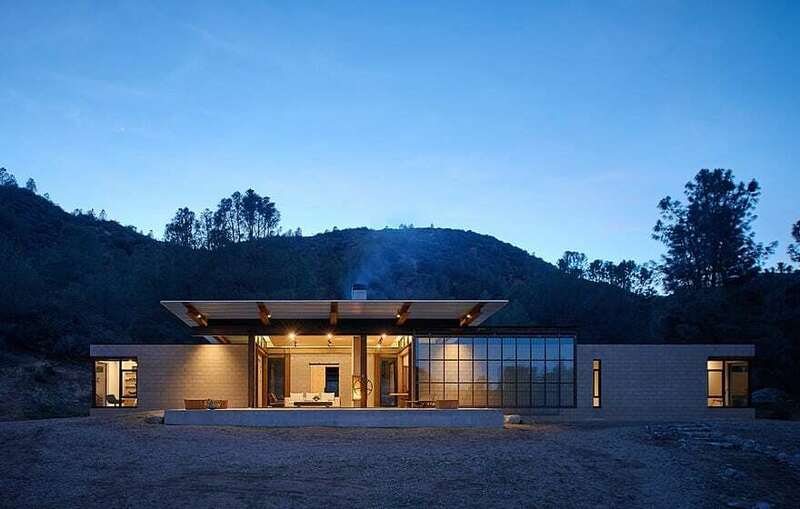 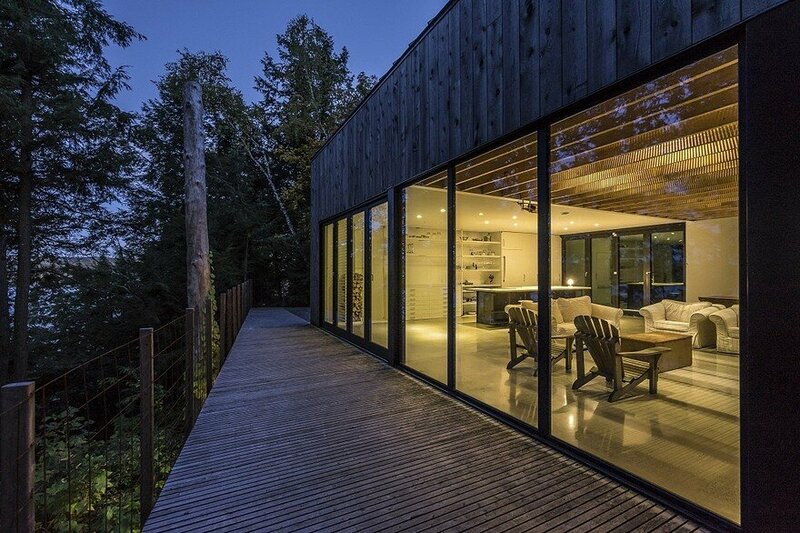 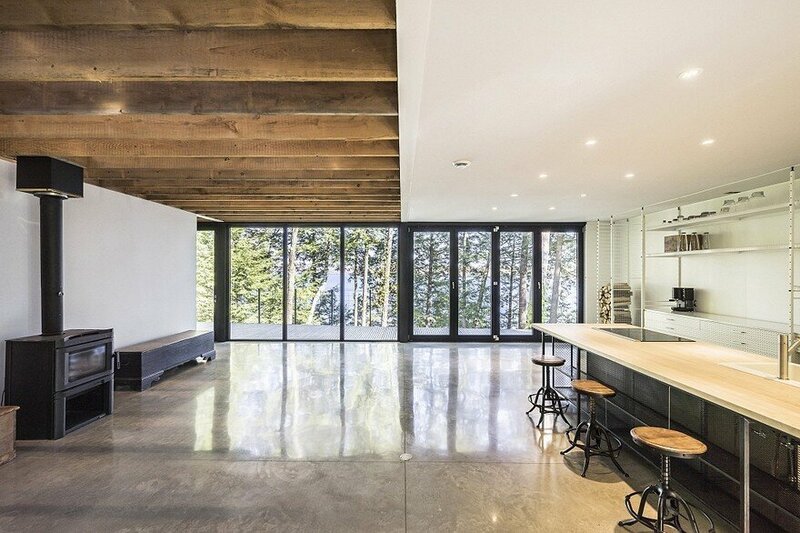 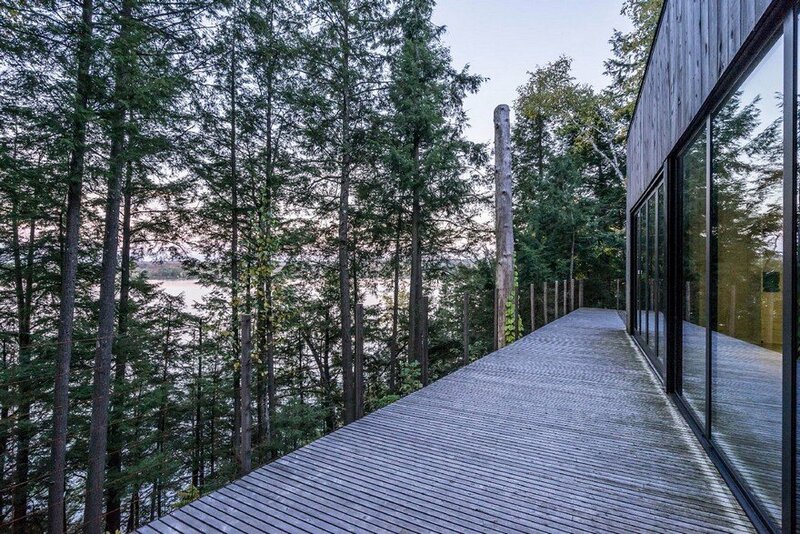 Chalet Massawippi is a vacation home designed by Canadian architect Gabriel Ostiguy. 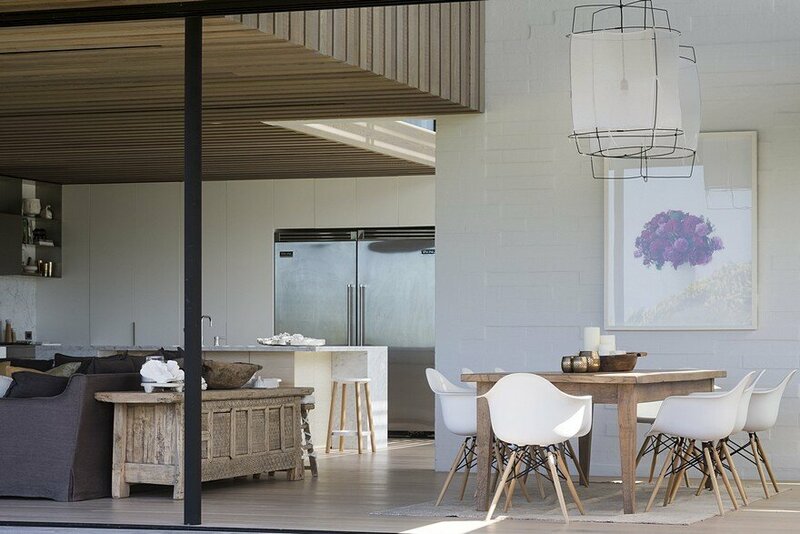 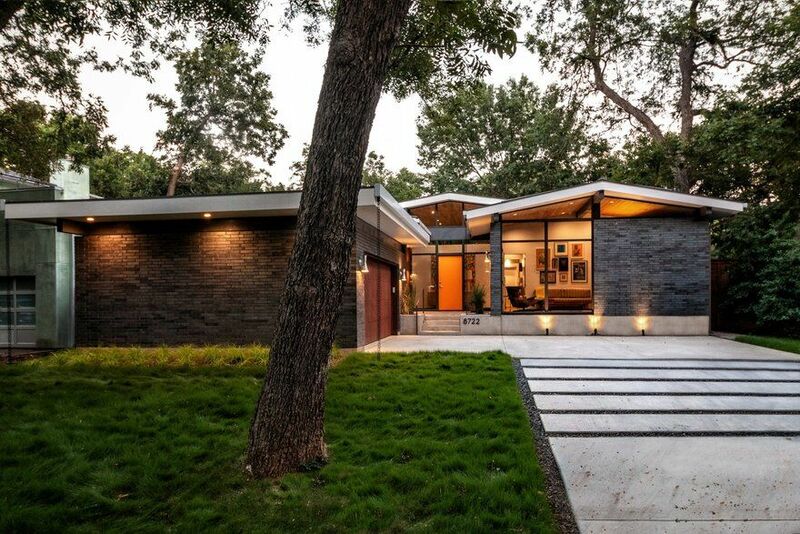 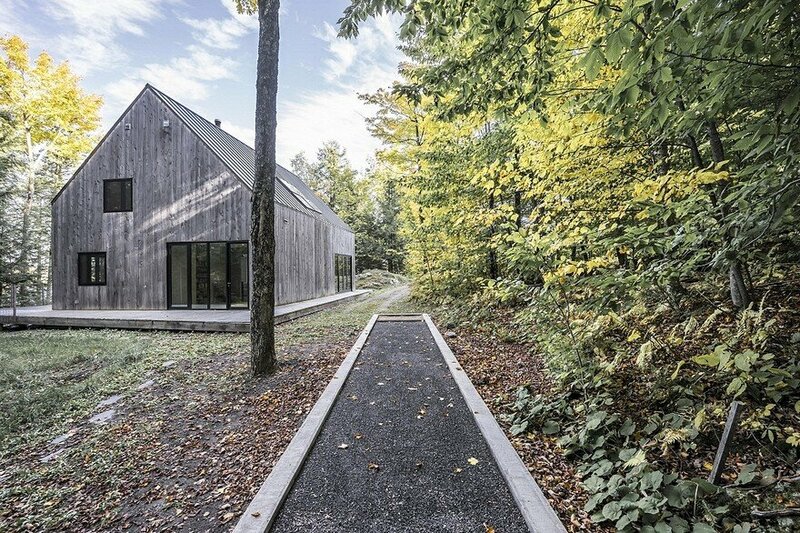 From the architect: This project, developed in parallel with my master’s studies in architecture, allowed me to explore the integration of the built form with a natural context “of superior interest”. 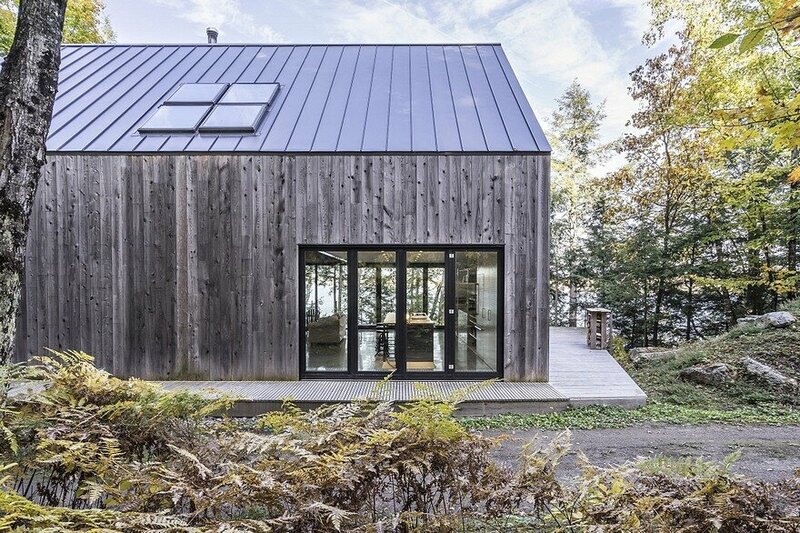 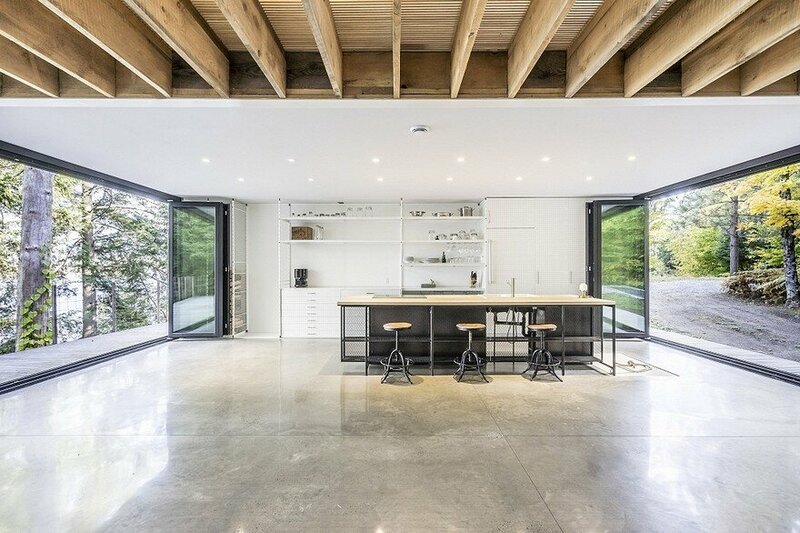 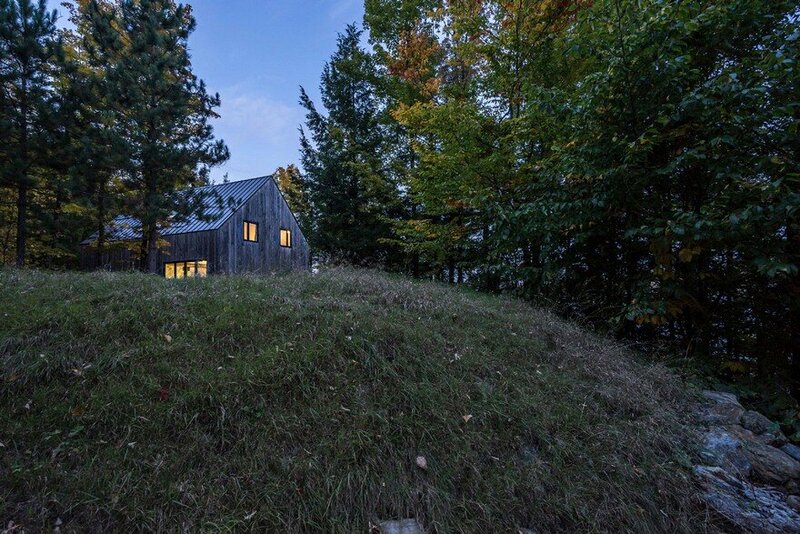 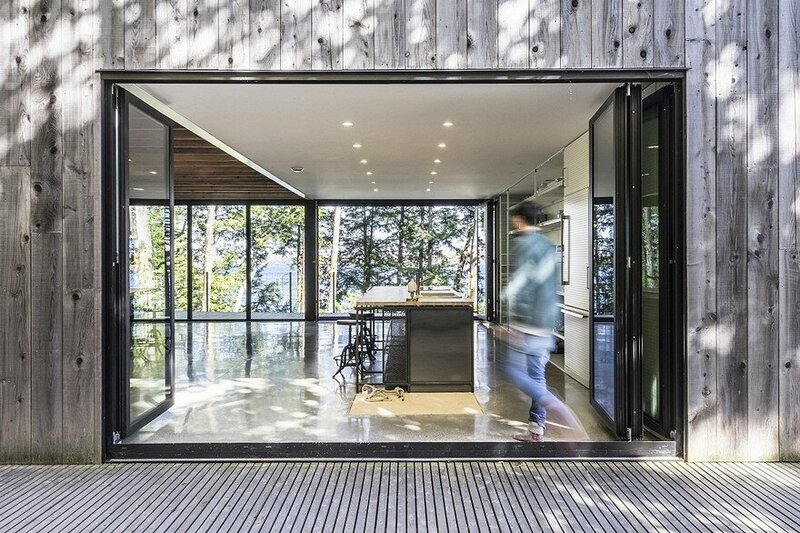 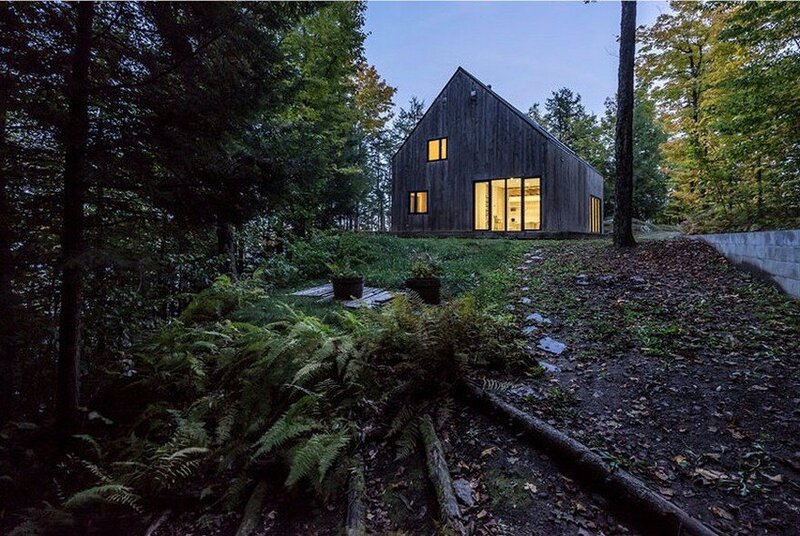 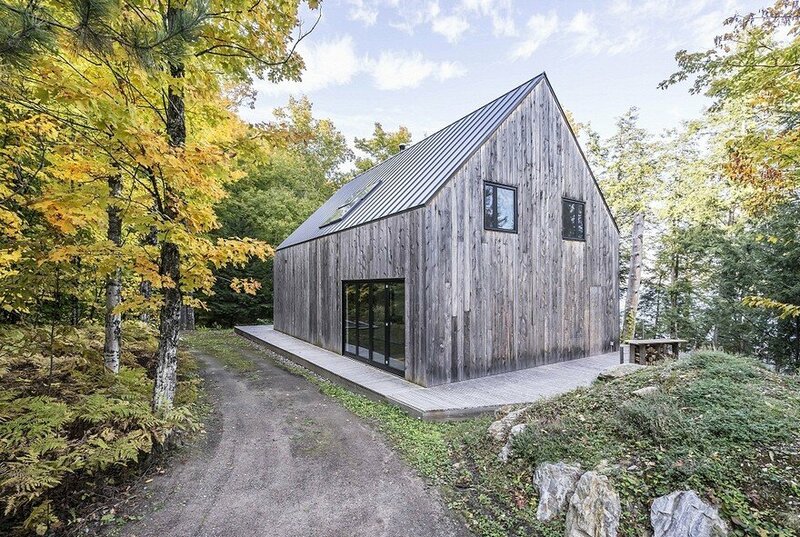 Set up along the shores of Lake Massawippi in the Eastern Townships, the project acts as a point of view on an untouched nature. 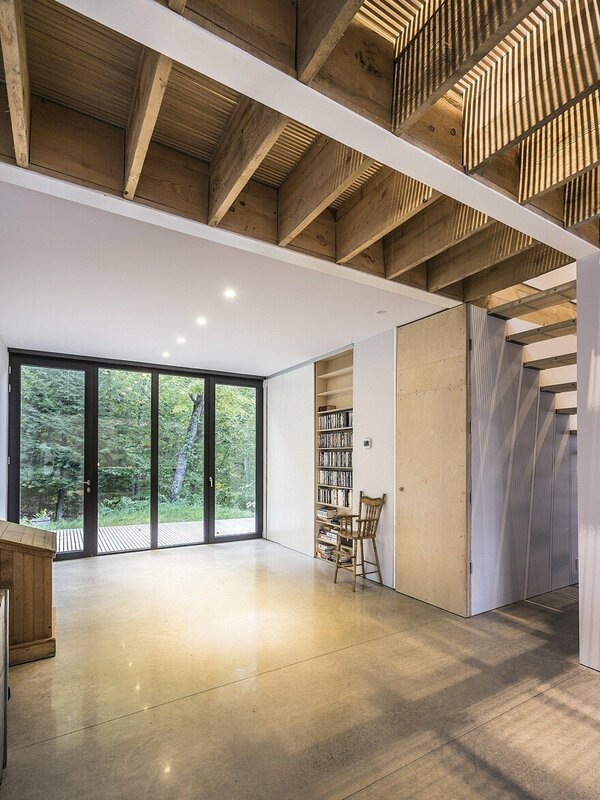 The neutrality of its form and its indigenous materiality are intended to inscribe in a sober and delicate way the building in its context. 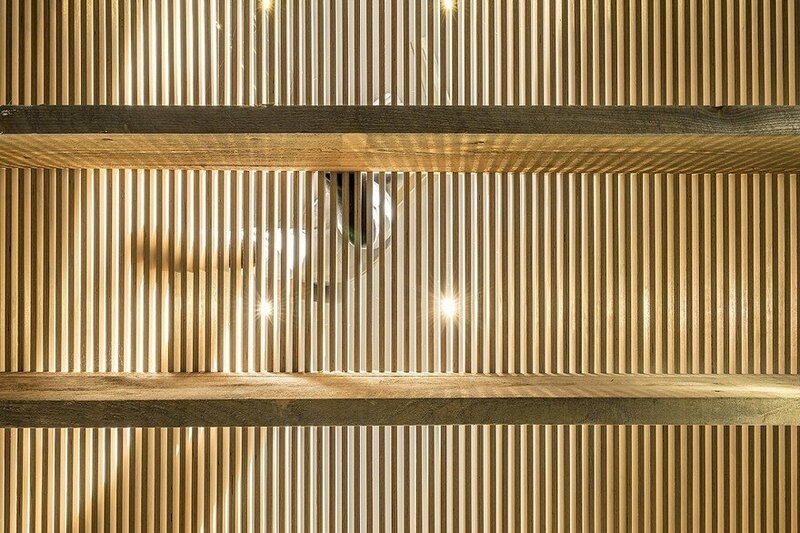 Intensive site supervision and active participation in the design and implementation of the integrated furniture gave me a practical overview of the different scales of resolution of a building.